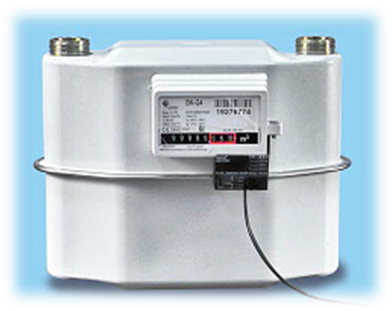 TransGas allows remote reading capability to gas meters that originally did not haveremote communications capabilities. There are different methods, depending on the gas meter manufacturer, but the most commonly used method consists in a pulse transducer. The pulse generator consists of a circuit equipped with a magnetic reed contact. A magnet located in the meter activates the contact each time a certain volume of gas is being consumed. 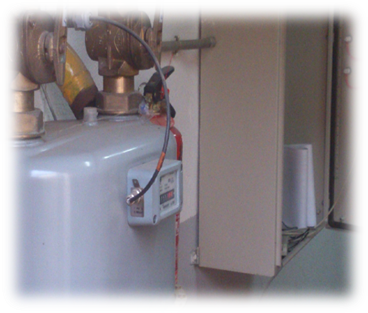 The number of pulses generated per unit of consumption varies depending on the manufacturer and model of gas meter. Other systems rather used for meter reading use the M-Bus (meter-bus) and Mod-Bus protocols. Both of them are standard reading systems for gas meters. To this end, the meters must have M-Bus or Mod-bus connectivity, as appropriate. Depending on the meter manufacturer and model, multiple meters can be connected by using PAN (Proximity Access Network) networks like ZigBee, 6LowPAN and others. A typical example is the connection of all gas meters of a building to a single hub . This hub would store all meter data and then it will be transmitted to one or more centralized points (computers/servers). Tellink offers a wide range of gas meter transducers for most manufacturers of gas meters, all framed within the product line TransTel-Gas. These transducers attached to Telllink´s modems and data loggers cover a variety of tecnologies to read gas meters from a centralized system.